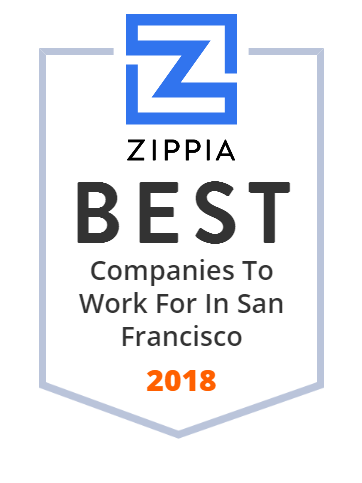 We hand-curated a list of the best companies to work for headquartered in and around San Francisco, CA using data on salaries, company financial health, and employee diversity. Blue Shield of California provides high-quality health care at an affordable price to the residents of California. The third largest health plan in California was founded in 1939, and headquartered in San Francisco. The company seeks to improve the ways in which members can access care and use their coverage by investing in talented employees and new technologies. Blue Shield of California has 18 additional offices across California and employ more than 6,000 people. McKesson is a healthcare services and information technology company that aims to change the cost and quality of available health care services. The company partners with healthcare organizations of all types and supplies the healthcare industry with the resources needed to improve quality and efficiency. Solutions by McKesson include pharmaceutical and medical-surgical supply management, healthcare information technology, and business and clinical services. The company was founded in 1833 and is headquarted in San Francisco, CA. The Pacific Gas and Electric Company is an American investor-owned utility with publicly traded stock that is headquartered in the Pacific Gas & Electric Building in San Francisco. UCSF Medical Center, founded in 1864, is a world leader in health care. It is part of UC San Francisco, one of the top universities in the nation for health sciences research and higher education. Its family of care includes UCSF Helen Diller Medical Center at Parnassus Heights, UCSF Medical Center at Mount Zion and UCSF Medical Center at Mission Bay, and others. Its expertise covers virtually all specialties, from cancer to women's health. UCSF Medical Center has about 12,000 employees and dozens of locations throughout San Francisco. Dolby Laboratories is the market leader in developing sound processing and noise reduction systems for use in professional and consumer audio and video equipment. The firm has about 1,900 patents and more than 990 trademarks worldwide. Dolby imaging technologies can be found at cinemas and on TV, its sound technologies on smartphones, tablets, and laptops. Founded in 1965 and headquartered in San Francisco, today Dolby has a team of over 2,000 individuals worldwide. Sunrun, founded in 2007 in San Francisco, CA, is the largest residential solar company in the United States that provides clean energy to homeowners with little to no upfront cost and at a savings to traditional electricity. Sunrun buys the solar system, installs it on customers' roof, and monitors and maintains the solar panels for the next 20 years. The company's goal is to create a planet run by the sun. Sunrun provides services in 23 US states, and employs more than 3,000 people.